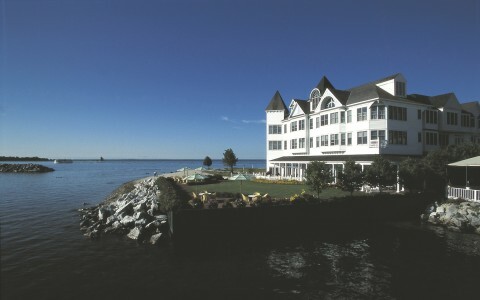 Hotel Iroquois, a Mackinac Island hotel, is located on the water overlooking the Mackinac Straits. 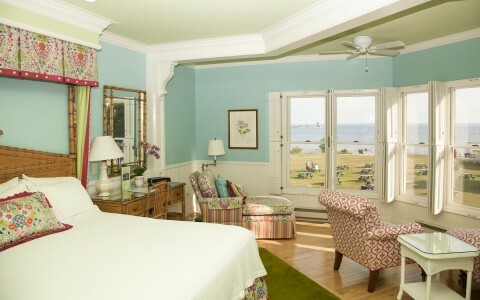 Hotel Iroquois features 46 suites and guest rooms, including waterfront suites, waterfront deluxe rooms and gardenside rooms available with shared porches, private balconies or walk-out balconies overlooking the Straits of Mackinac or the garden pathway. Some suites include wet bars, sitting areas and whirlpool tubs. 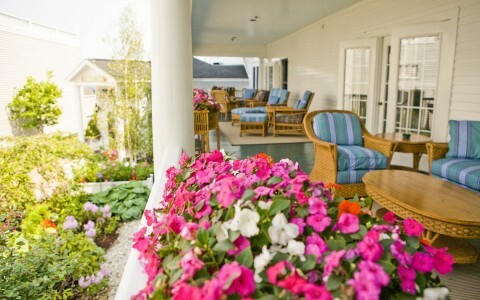 The Carriage House restaurant is a glass-enclosed dining room with an outdoor waterfront veranda that overlooks the Straits of Mackinac. The Hotel Iroquois is close to Mackinac Island restaurants and shopping as well as historic Fort Mackinac, carriage tours and bike rents.